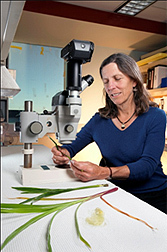 Agricultural Research Service (ARS) geneticist Sarah Hake, working with University of California-Berkeley plant geneticist George Chuck, found that taking a gene from corn called corngrass and inserting it into switchgrass keeps the grass always in a juvenile form that doesn’t flower, doesn’t produce seeds, and doesn’t have a dormant growth phase. And that means the sugars in the plant starch are more readily available for conversion into cellulosic ethanol. It is remarkable, that under certain conditions, swtichgrass need to be considered also as feedstock for heat and electric applications in boilers and co-firing facilities. The need of dried biomass is desired while the species have a dormancy during the year determining senescence and self drying in the field, reducing harvesting costs as well (no need to windrow or mow and let on the field before baling because it could be feasible to harvest directly). ARS geneticist Sarah Hake and her collaborators have inserted a gene from corn into switchgrass, creating a new variety with traits that may help make the plant more suitable for cellulosic ethanol production. 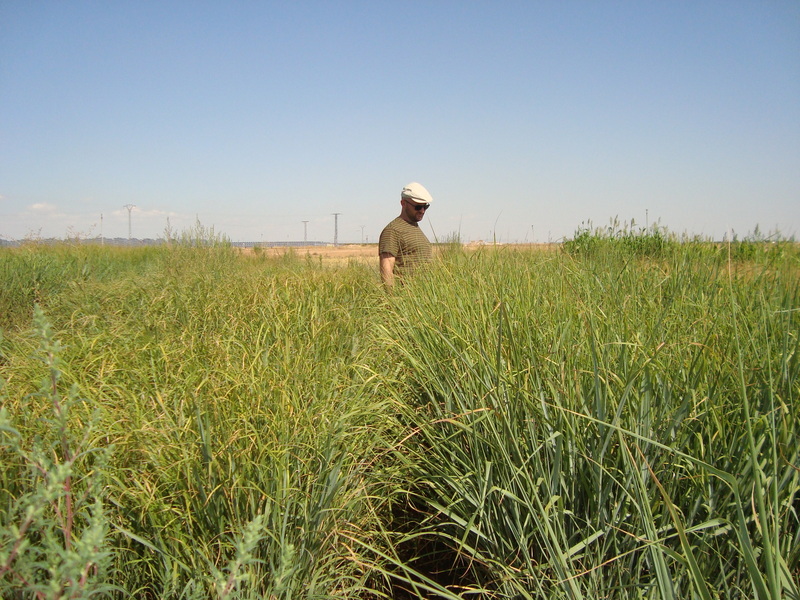 The scientists observed that the leaves in the transgenic switchgrass are not nearly as stiff as leaves in switchgrass cultivars that haven’t been modified. In addition, they determined that leaf lignin is slightly different in the transgenic switchgrass than leaf lignin in other plants. This could lead to new findings on how to break down the sturdy lignin and release sugars for fermentation, a development that will be essential to the commercial production of cellulosic ethanol. To test the hypothesis that juvenile biomass has superior qualities as a potential biofuel feedstock, the Cg1 gene was transferred into several other plants, including the bioenergy crop Panicum virgatum (switchgrass). Such plants were found to have up to 250% more starch, resulting in higher glucose release from saccharification assays with or without biomass pretreatment. In addition, a complete inhibition of flowering was observed in both greenhouse and field grown plants. These results point to the potential utility of this approach, both for the domestication of new biofuel crops, and for the limitation of transgene flow into native plant species. This finding, as many others, confirms one more time that perennial grasses could have several ways to be improved and their introduction in agricultural not competitive lands or even in rotations with annual crops that have larger inputs when producing food, could derive into greater environmental benefits. The ethanol yield, would impact directly into the life cycle assessment, determining larger benefits in terms of Greenhouse Gases emissions and savings as well as in the energy balance and economic costs.